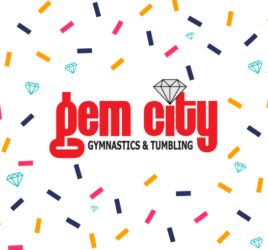 Classes — Gem City Gymnastics & Tumbling, LLC. Gem City offers gymnastics, tumbling, cheer, kinder gem, and parkour classes, which can be started as young as 18 months and still enjoyed into adulthood. Our classes present an opportunity to learn and gain strength from the chance to make new friends and build self-esteem to the development of motor skills and the many benefits of exercise. Gem City coaches athletes with a system of progressions to move each athlete toward their full potential. We do this for two reasons: 1) safety and 2) good basic skills are the key to the big fancy skills. Below you will find a quick description of the classes we offer. Click on the buttons for more in-depth description, schedule, and prices. To enroll in a class, simply stop by or call us at 217.224.8491. Not sure which class is right? We can help! Stop by the gym or call 217.224.8491. Looking for Spring 2019 classes? Find them all listed here. You can sign up at anytime. Keep up with what’s happening at Gem City! 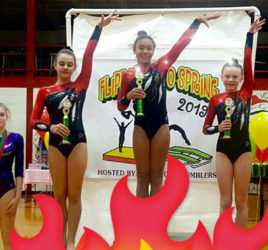 Riley Brown, Level 8 gymnast, competes at the 2019 Region 5 Championships in Bourbonnais, Illinois, this weekend. 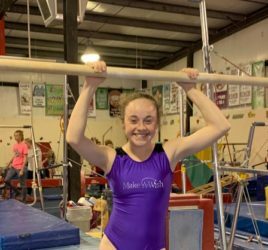 She will represent both Gem City gymnast and the DREAM TEAM for the State of Illinois! Read more to see how she qualified. You can now register for 2019 summer classes, which start on June 6. Call 217.224.8491 or drop in at the gym to get your spot reserved.